The Fort, which was built in the early 20th Century housed troops that were used to protect the border from raids by Mexican rebel leader / bandit Francisco �Pancho� Villa and various sub-groups of bandits that were allied with his forces. The fort was closed after WWI but many of the barracks remain intact. 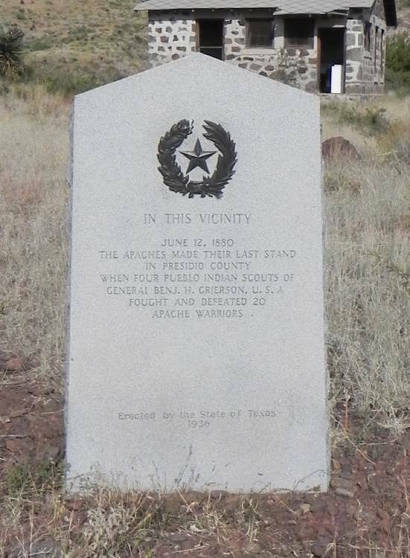 The site is also considered to have witnessed the last fight between U.S. soldiers and Apache forces, For that reason, a 1936 Centennial marker was placed here. 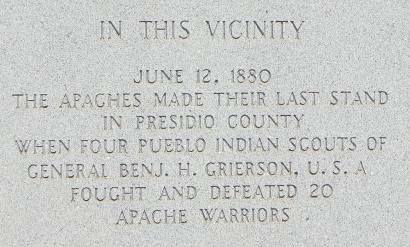 "The Centennial Marker was set right in the middle of the fort." General Benj. H. Grierson, U.S.A.